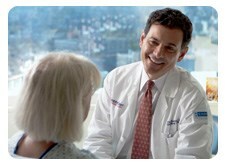 Our physicians are committed to clinical excellence and patient-centered, compassionate care. There are several ways to find a physician at Montefiore. Use the buttons to the left to search for a doctor by name, by specialty or find a primary care physician in our network. Montefiore and the providers who are employed by Montefiore participate with most major insurance companies, Health Maintenance Organizations, Medicare Advantage Plans, Medicaid Managed Care Plans and Preferred Provider Organizations. See Insurance Plans Accepted: Montefiore Medical Center, Montefiore New Rochelle, Montefiore Mount Vernon. There are exceptions, so please check with individual providers to confirm their participation with your insurance carrier.